Evaluation: assessment, appraisal, judgment, rating, estimation, consideration. When you put it that way, evaluations sounds like the last thing that we want to spend our time doing! 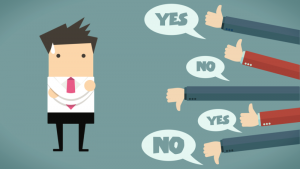 Do you dread performance reviews? Have you ever felt like the feedback you received wasn’t useful or helpful? Is it challenging for you to provide difficult feedback to others? If so, it’s not surprising that more often than not evaluations feel like something that we have to do rather than something we want to do. 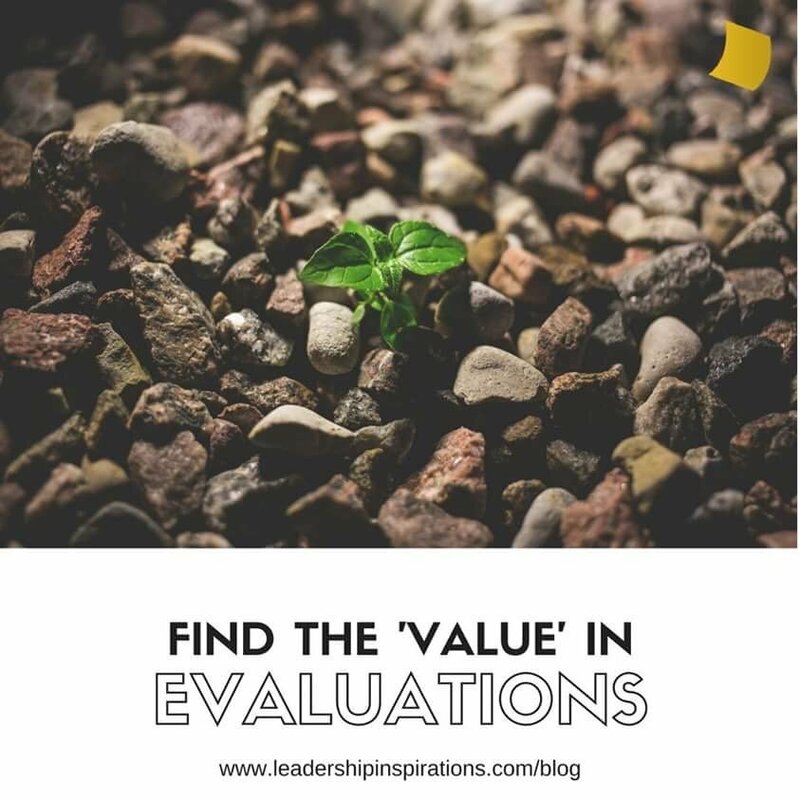 I think that this is a shame because evaluations have the potential to be one of the most useful and important leadership tools in your tool belt. At Leadership Inspirations, we value feedback as a catalyst for reflection and improvement. Giving and receiving effective feedback is something that our staff constantly strives for. In fact, at the end of all of our programs, we not only ask participants to provide feedback, but our staff as well. The time spent is imperative because we understand that our process and our facilitators will always have room for growth. Once the time has been set aside, the structure and framing of these evaluations is essential to positively correct actions AND preserve relationships, which is why it is so important to be intentional about the way we ask people to engage in feedback. There are many different ways to conduct evaluations, but we enjoy Plus/Delta Evaluations because they are easy to use and simple to understand. They require very little materials or preparation, any paper and and writing utensil is sufficient to complete plus/delta evaluations. Furthermore, participants only need to explain two categories of assessment. The ‘plus’ refers to positives, or things that were done particularly well and that we should continue doing in the future. ‘Delta’ stands for change and refers to things that could be improved for next time. When explaining the ‘delta’, we distinguish it from ‘minus’ or negatives because ‘deltas’ are constructive criticisms that identify ways to improve rather than just stating something we didn’t like. Always ask participants to be as specific as possible with their evaluations. For example, while “activities were great” is nice feedback to get, it would be better to know which activities and what was great about them. A more helpful piece of feedback would be: “Silent Opera really pushed us out of our comfort zones and Andrew gave really clear instructions.” Specific feedback reduces confusion and frustration while giving you a more complete picture of your performance. No matter how much I prepare myself, it can still be difficult to receive critical or ‘negative’ feedback from evaluations. This is completely natural, especially when you are passionate about the work that you are doing and want to do a good job. It means you care! However, becoming distracted by this feedback or taking it too personally is not constructive and can actually be harmful. It’s important to remember that we don’t use evaluations to search for the approval of others. Take the time to process and debrief everything in your evaluation. When you examine ‘deltas’, determine what is in your control and what is out of your control. Focus on the things that are within your control to change and come up with reasonable action steps to do so. And then, celebrate the ‘pluses’! Really give yourself and your team credit for what went well. Do not skip this step! Creating a positive and safe space for evaluations is crucial to developing a culture of growth, mentorship and support. We are firm believers in practicing what we preach. As facilitators, it’s important to take time to reflect on our own skills and performance so that we can be aware of our strengths and opportunities for growth. Spend time evaluating yourself, or if you facilitate in pairs or small groups, create a safe space for you to provide constructive feedback to each other. Timing – when do you like to receive feedback: in the moment, as soon as possible, one day later? Format – how do you like to receive feedback: written, verbal, email? Order – what order do you prefer to receive your feedback: pluses and then deltas? Deltas first? Or a compliment sandwich? Involvement – how involved do you want to be in the process: do you want to give your opinion, be able to ask questions? Reaction – how do you react to positive or negative feedback: do you get defensive? Avoid eye contact? Appear ungrateful? Argue? You can also answer these questions for how you like to give feedback to others. This thoughtful process will help to create a safe space for providing feedback that both preserves relationships within your team while correcting actions for personal and professional development. 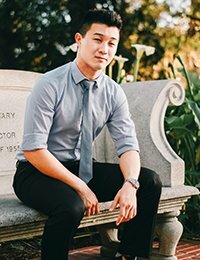 Andrew has worked as a coach for Leadership Inspirations for the past 4 years and has a passion for empowering others to be confident, successful leaders. He is a proud Californian, avid reader, and constant learner.